Born march 26th, Temitayo Yekini a.k.a "Tiwezi" is a recording artist and music producer. This cute graduate of Public Administration (Lagos State University) fell in love with music at a very tender age. 'Tiwezi' is currently a music producer and sound engineer with award winning Cobhams Asuquo at CAMP:Cobhams Asuquo Music Productions. His first single 'Survivor' features Spaceship Boy, Stan Iyke and Kaystrings. 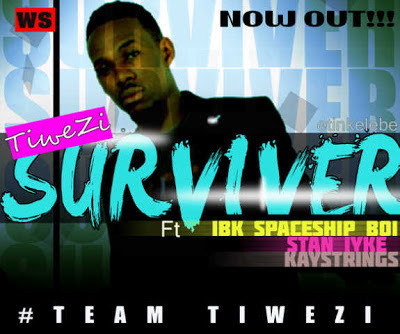 The song inspires you to survive and stay focused and was produced by Tiwezi. In his steady and growing career,Tiwezi has worked with Pheel, Engager, CLO, Ebele The Flutist and is currently working with artists like Kween and Timi Dakolo. He is set to bring a fresh; yet, hot blend of music to the industry especially what he calls 'ETINKELEBE' music. Watch out for more banging hits from this multi-talented producer and artist.